Stanford also thinks that Davis’s abortion stance may help her win the votes of suburban Texas women. His argument is unpersuasive. Political scientists know the results of abortion polls are very sensitive to the wording of the survey questions. The poll Stanford cites — which was clearly worded to bias respondents toward a “pro-choice” position — still showed that less than 35 percent of those in certain key demographic groups in Texas support legal abortion. Furthermore, Senator Davis’s chosen conduit into the national spotlight was her outspoken support for brutal late-term abortions — beyond the fifth and sixth month of gestation. This is something that is strongly opposed by most Americans, especially in a red state like Texas. Indeed, there is plenty of survey data indicating that abortion after 20 weeks of gestation is unpopular. Three separate national polls conducted this summer by National Journal, Rasmussen, and NBC/Wall Street Journal all indicated that a clear plurality of Americans support banning abortion after 20 weeks of gestation. Furthermore, key demographic groups support 20-week abortion bans. The two polls which broke down the results by age found a plurality of young adults supported such a ban. Even more important, in each of these three polls, women were actually more likely than men to support banning abortion after 20 weeks gestation. Furthermore, Davis appears to be distancing herself from the abortion issue. During a Twitter townhall this summer, Senator Davis refused to answer any questions about her own abortion stance. She answered twelve questions on a range of topics including infrastructure, payday lending, and college-tuition benefits. However, abortion was never once discussed. Additionally, Davis’s first campaign ad was released earlier this month. It makes no mention of her position on abortion. Wendy Davis’s 13-hour filibuster of a 20-week abortion ban this past June certainly raised her national profile. It may well help her raise money from supporters of legal abortion outside Texas. 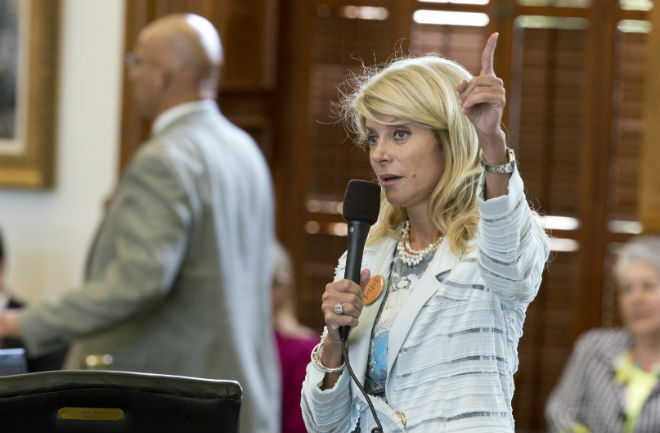 However, there is little evidence that Senator Davis’s extreme position on abortion has endeared her to Texas voters.